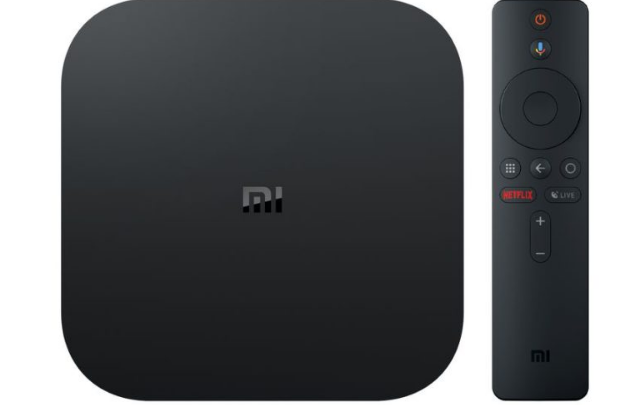 Xiaomi decided to refresh its TV box set with Android TV. The new variation of the famous TV box offers a display of multimedia contents offline and online in high definition 4K, as well as in HDR. 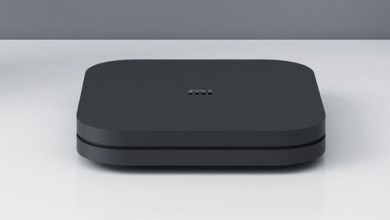 The Xiaomi Mi Box S with 4K HDR Android TV box comes in black color and fabricated from PC+ABS material making it rugged and ready to withstand all kind of use. 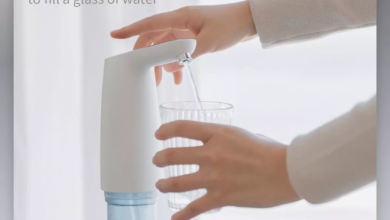 It has a tiny rounded body which is less than four inches wide and deep which is only about three-quarters of an inch tall, making it easy to fit in at any entertainment center. Thanks to the Bluetooth remote which makes it possible to place the TV box anywhere and still get to control it without stress. It has a dimension of 3.75 x 3.75 x 0.66 inches and weighs 300 grams. 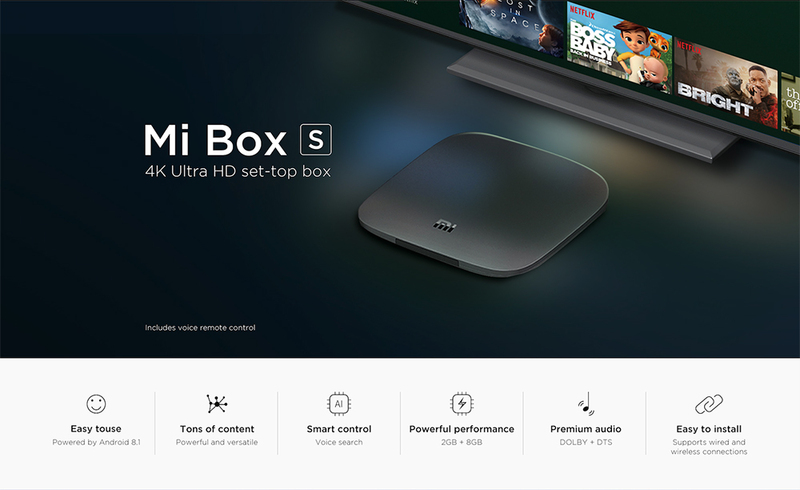 The Xiaomi Mi Box S with 4K HDR Android TV box is powered by a quad-core Cortex A53 processor. This chipset is rapid and stable which can give you quick feedback and smooth response. This processor is paired with a Power Mali-450 GPU which offers you the high definition pictures and videos. It comes with 2GB RAM and 8GB internal storage which give you more space to download your favorite apps and caches to browse websites, play games, run apps, watch movies more smoothly. The Tv box has an internal cooling system inside the digital player which will enhance the performance of the box. The new model is equipped with a quad-core processor, 2 GB RAM, 8 GB ROM memory, bluetooth version 4.2, HDMI 2.0A port, headphone socket, and 2.0 USB port. The remote control will also be refreshed. The new version has a dedicated button for what I use most often, i.e. Netflix. 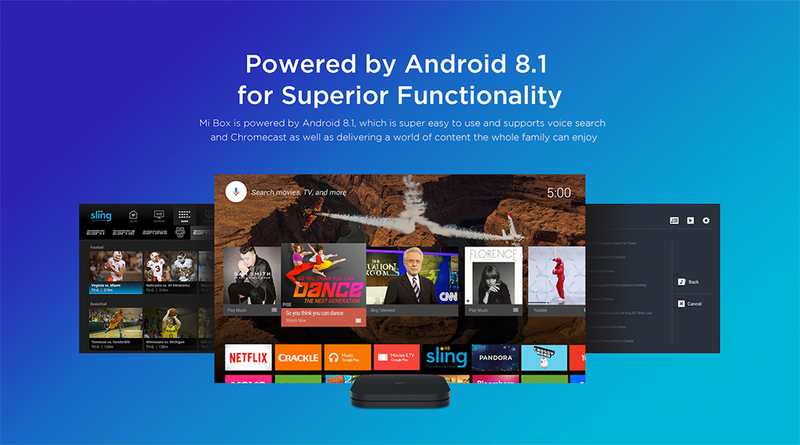 Thanks to the Android TV system, the device will be officially supported by Google and include a number of facilities, among others support for Google Assistant and Chromecast. Chromecast provides easy transfer of multimedia files directly from your computer or smartphone to a large TV screen.